Allergy researchers are projecting that, within the nedt 10 years, we in West Europe may have as high as a 50% chance of an allergic condition. 1. In 2004 the World Health Organisation estimated that between 100 and 150 million people worldwide suffer from asthma and this number is rising, on average, by 50% every decade. 2. In 2004, Asthma UK published data (Asthma UK ’04) showing that the number of asthmatics in the UK had reached 5.2 million, including 4.1 million adults and 1.1 million children. 3. In 2004, the Global Initiative for Asthma (GINA) published their report which pinpointed Britain as a trouble spot. Around 30% of Welsh adults display symptoms of asthma, the highest rates of asthma in the world. This is more than three times as many as the numbers affected in Spain, Poland and Denmark, and a staggering 13 times more than the Swiss. Some 8% of healthcare workers now have an allergy to latex rubber, which in some cases can lead to anaphylaxis. Yet until 1979 only two cases of latex allergy had been reported. Patients with asthma have chronic inflammation of the airways, which in many cases is considered to be due to an allergic reaction. This starts with exposure to, and sensitisation to, an allergen – generally at quite a young age; which is followed by the so-called ‘cellular triggering’ phase, during which the immune system learns to react to the allergen and starts the chronic inflammatory process. Once this process has begun it is impossible to ‘cure’, as the airways become permanently hyper-reactive. When people develop occupational asthma (ie. they become allergic to something at work, such as red cedar dust), they can leave their job or move to a different part of the world – but they will still be vulnerable to asthma attacks triggered by cold air, dusts or other allergens. In terms of drugs, airway inflammation is managed with corticosteroids, immuno-suppressants which switch off the immune system and interrupt the inflammation. These drugs are undoubtedly effective anti-inflammatory agents, but can do no more than suppress the symptoms of the disease. Why has the medical model failed so completely? More pressingly, what can we do to thwart the experts’ prediction that, on current trends, half of all people in the UK and Europe will suffer from asthma or an allergy by 2015? These high figures are very much a product of our lifestyle. Global mapping shows that the incidence of clinical asthma correlates increases with affluence, with the highest rates occurring in the English-speaking speaking countries of the western world (Masoli et al ’04 ). Work on trigger factors such as pollens, car exhaust materials and other atmospheric pollutants, cold air, the house dust mite etc has helped asthma sufferers to minimise or avoid asthma attacks, but has done nothing to explain the huge increases in the numbers of people who have become vulnerable to trigger factors. And the research that has been done to identify the genes that predispose to asthma and allergy is interesting – but our genes haven’t changed in the last 50 years, so that doesn’t explain the asthma epidemic either. The fact that levels of asthma and allergy have changed so markedly in such short periods of time (and are now even dropping in ‘cool spots’ like Birmingham!) gives us an assortment of clues to the underlying causes of the problem. For example …. The GINA report found that the rate of asthma increases as communities adopt western lifestyles and become urbanised. Paradoxically, within the affluent nations, asthma is more common in rural than in urban settings, and in the inner cities than in suburbia. Although asthma and allergy is high in the countryside, the sub-group of rural children who are raised on farms are substantially less likely to develop hay fever, asthma and eczema. This may reflect early exposure to soil bacteria (Eder & Mutius ’04) or animal dander (Gern et al ’04); these factors are thought to affect the developing immune system – so that it is less likely to be involved in asthma and allergy in later life. This is known as the ‘hygiene hypothesis’. According to this theory it is so normal for infants to become infected and/or exposed to allergens at an early age, that the immune system has come to use this as a sort of priming experience. If the priming experience does not occur by a certain age, the immune system is left permanently off kilter, and prone to allergy. According to the ‘hygiene hypothesis’, we caused the asthma and allergy epidemics by raising our children in conditions that are too antiseptic. There is some other evidence for this. Early infections reduce the risk of later childhood asthma (Williams & Owensby ’04, Williams et al ’05). Conversely, antibiotic use in infancy increases the later risk, at least in infants with a family history of allergy (Droste et al 2000, Johnson et al ’05). This has led scientists to speculate about the importance of normal bacterial populations in the gut in protecting against asthma and allergy; and there is evidence that probiotic cultures given prenatally to mothers with a family history of allergy reduce the numbers of infants developing allergy after birth (Kalliomaki et al ’01). However, although the hygiene hypothesis fits some of the data, it does not explain the asthma epidemic. For example, asthma is increasing in the North American inner cities among children who live in very poor and unhygienic housing (Platts-Mills et al ’05). It is in just these homes that higher levels of house dust mite and cockroach allergen are found (Goldstein et al ’87, Birnbaum et al ’93, Call et al ’93, Willies-Jacobo et al ’93, Kang et al ‘93). These children are hardly being brought up in overly hygienic environments. According to the hygiene hypothesis they should be protected against developing asthma – but they do develop it, and in higher numbers than the inhabitants of the cleaner and leafier suburbs. Tobacco is also involved. The prevalence of asthma in children is about 25 per cent higher in smoking than in non-smoking families, and the effects start before birth: intrauterine exposure has an adverse effect that is independent of the effects of exposure after birth (DiFranza et al ’04). In other words it’s a very complicated picture! So what can we conclude? Diet is deeply implicated. The enormous dietary changes that have occurred in the last half century include reduced intakes of antioxidants, plant sterols (derived from nuts, oils and seeds) and omega 3 fatty acids. At the same time intakes of saturated, omega 6 and trans-fatty acids have increased; all of which have been linked to increased asthma risk. However, simply giving fish oil and antioxidant supplements to patients with asthma and/ or allergy has not been effective (Devereux & Seaton ’05). This has led some to speculate that nutritional status is only important during the ‘priming period’, which may well be partly true; but there is good evidence that the failure of nutritional intervention studies may have been due to using the wrong micronutrients. There are a number of micronutrients and phytonutrients (fruit and vegetable derived nutrients like flavonoids and plant sterols) which have powerful anti-inflammatory and immuno-modulatory effects. Our intakes of these compounds have been progressively reduced due to dietary shift since the ’50s. As the role of flavonoids and plant sterols in the body is to prevent excessive inflammation (which they do far more effectively than omega 3 oils can), their progressive removal from our diets would be expected to increase the incidence and severity of inflammatory responses. As confirmation, when plant sterols (eg. beta sitosterol) and flavonoids (eg. pycnogenol) are given to asthmatic patients, they effectively reduce the incidence and severity of asthma attacks. There are other dietary compounds, like the fermentable fibres – that again are at historically low levels – that normalise the populations of bacteria in the gut, and which are also associated with improved immune system function. 1. Smokers and their partners and children are known to have an even poorer diet (English et al ’97, Hampl et al ’01, Palianappan at al ’01, McPhillips et al ’04, Zondervan et al ’96, Marangon et al ’98) and micronutritional status (Lykkesfeldt et al 2000, Polidori et al ’03, Bruno et al ’05, Galan et al ’05, Stark et al ’05) than non-smokers. 2. Children raised on farms are likely to be eating far more home-grown fruits and vegetables than those who live in the country but not on farms, and who must buy from small local stores notorious for lack of choice and the poor quality of their fruit and vegetables. 3. Folks in the suburbs have better access to fresher produce in the supermarkets than those in the inner cities. For these reasons smokers, inner urbanites and rural non-farmers would be expected to have lower levels of natural anti-inflammatory agents in their diet, and in their blood-stream. They would be also expected to have a less health-promoting spectrum of gut bacteria, contributing to immune imbalance. And they have higher levels of allergy. The immune system is a complex network of checks and balances; it must be ready to mount acute inflammatory reactions to kill invading micro-organisms, but it should not be so over-reactive as to create chronic inflammations which damage the host. There are many elements in our diet which modulate immune function. 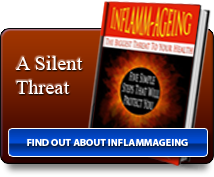 There is no doubt that the progressive withdrawal of ‘inflammation-damping elements’ like the flavonoids, sterols and omega 3 fatty acids, and the simultaneous increase in intakes of pro-inflammatory compounds such as salt, saturated fats and AGE compounds (created during high temperature cooking of certain foods), have left our immune systems unbalanced and far too prone to develop excessive and sustained inflammatory responses. n this dangerously pro-inflammatory state we become more likely to develop inflammatory and allergic responses to compounds such as house dust mites, latex, peanuts, sesame, wheat, eggs, soy, dairy, mustard, fish, shellfish – the list goes on and on. In sum, there is no single factor that adequately explains the massive increases in asthma and allergy. Instead, a complex array of nutritional changes, which exactly parallels the increase in allergy and asthma we have seen in the last half-century, has led to multiple metabolic distortions. It is this which has left us so exposed, and so much more at risk of chronic inflammatory diseases. It seems logical that dietary improvement and/or supplementation is the way to make the next generation less vulnerable, and to manage the disease in the current generation of asthma sufferers. 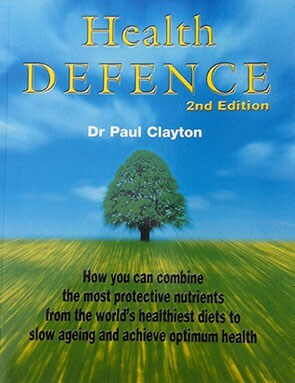 In order to re-balance the immune system there is a short and simple list of foods and ingredients which should be minimised, and other foods which should be increased where possible. Cut down on: fast foods, high-temperature-cooked foods (such as grilled and deep fried foods), high glycemic index foods (baked goods, potatoes, confectionery, sugary soft drinks), and salt. Increase: oily fish, berry fruits, nuts, seeds and whole grains (if you are not already allergic to these foods). In addition supplements have an important part to play. The flavonoids are key anti-inflammatory agents. In this group of compounds quercitin and the curcuminoids are perhaps the best documented. Based on a reading of the following literature and other papers, I generally recommend 1 to 2 grams of curcuminoids per day. This is not only a very safe strategy, it is also very effective in reducing inflammation (Fanning et al ’83, Middleton & Drzewiecki ’84, Pearce et al ’84, Middleton & Drzwiecki ’85, Simoes at al ’88, Wu et al ’91). Even more to the point, these compounds have been shown to interrupt the inflammatory process in models of asthma (Kobayashi et al ’97, Ram et al ’03, Wuyts et al ’03). They have several mechanisms of action, most of which involve the inhibition of pro-inflammatory enzymes. In my experience they are even more effective when combined with phytosterols1 (Gomez et al ’99, Halpern 2000, Harbison & Whitehouse 2000, Sinclair at al 2000). These compounds are the plant kingdom’s equivalent of cholesterol. They exert their anti-inflammatory effects by inhibiting the infiltration of neutrophils, specialist white blood cells which have a similar action to macrophages (Garcia at el ’99), and preventing them from releasing inflammatory enzymes (Navarro et al ’01). The best known of this family is beta sitosterol which, in addition to the above anti-inflammatory effects, also increases the ratio of T1 Helper cells to T2 Helper cells (Bouic & Lamprecht ’99, Anonymous ’01). This is important because higher levels of TH1 cells are pro-inflammatory (and are implicated in auto-immune diseases like rheumatoid arthritis and multiple sclerosis). In contrast, higher levels of TH2 cells are anti-inflammatory. The up-regulation of TH2 and down-regulation of TH1 is a mechanism now regarded as central to asthma – and beta sitosterol can help the process. I routinely recommend 200-300mg /day. An extract of green-lipped mussel which contains the related sterols desmosterol and brassicasterol has also been shown to be effective in a clinical trial of asthma (Emilyanov et al ’02), and would be my second choice. A broad-spectrum anti-oxidant supplement is ineffective on its own against asthma, but may provide additional benefit when added to the above combination. Ideally, pharmaco-nutritional programmes should supplement, rather than replace, the dietary changes listed above. Doctors are taught, at least in theory, to treat causes rather than symptoms. However, when the incidence of non-communicable diseases such as asthma and the allergies rises as spectacularly as has occurred over the last 30 years, individual patients are clearly symptoms of a huge, underlying causal problem. The available data strongly suggest that that problem is caused by dietary deterioration; and that the cure for the current epidemic is not inhalers, but dietary improvement and pharmaco-nutritional management.